MTN 2G Colors Spray Paint - RV34 Guacamole Green is the Montana special Nitro coversall formula. The Nitro 2G high-pressure spray paint is specifically designed to paint over any other paint with maximum coverage - including silvers & metallics. 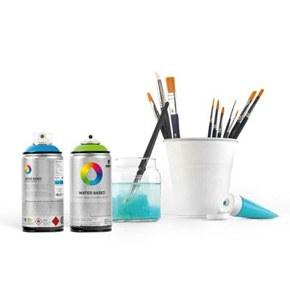 The 500ml size of the spray cans gives graffiti artists a can that will fill larger spaces quickly and completely. Montana Colors 2G Spray Paint RV34 Guacamole Green color is a full bright middle green hue.